El Portal Sedona Hotel – the best location – the heart of Old Sedona! El Portal Sedona Hotel is built on an old historic apple orchard and the homestead of Schnebly (founders of what is now Sedona), just steps away from Oak Creek, Tlaquepaque Arts & Crafts Village, and Los Abrigados. With over 50 shops and restaurants right next door, you can walk from the hotel and just wander from shop to shop, have a nice lunch, or picnic next to the serene Oak Creek Canyon. El Portal Sedona Hotel is located at 95 Portal Lane, the perfect location! 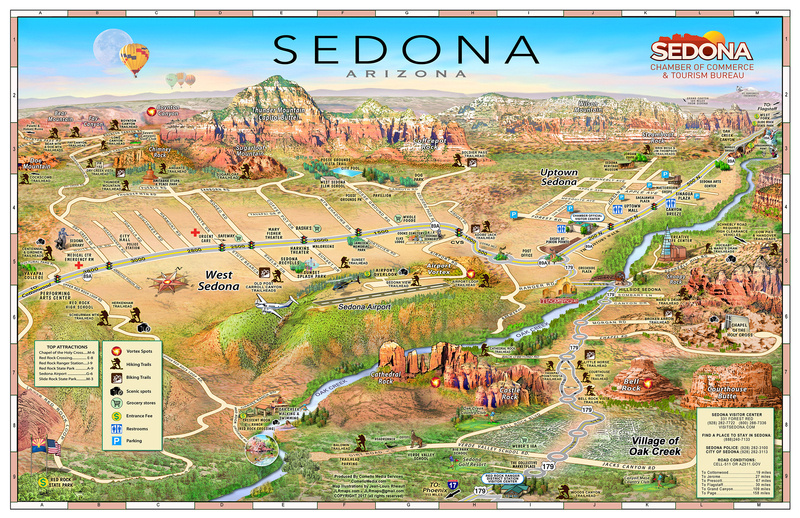 We will provide you with a map of Sedona to help you get around. 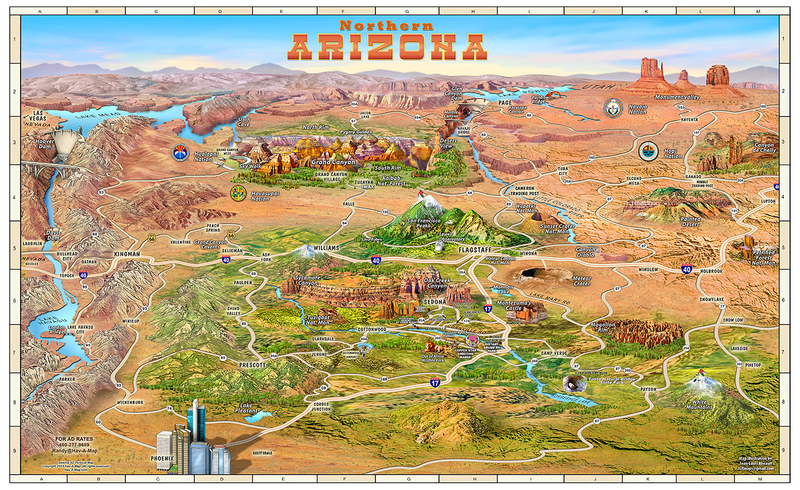 – Going from Sedona to the Grand Canyon is a breeze and very scenic. Take these easy directions. 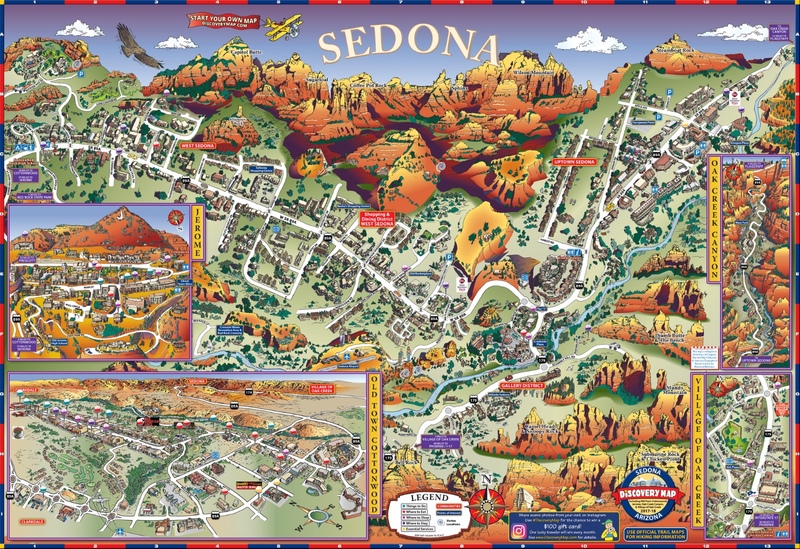 West Sedona, (off of 89A) is where the fire station, police station and markets are, it has the feeling of the suburbs. 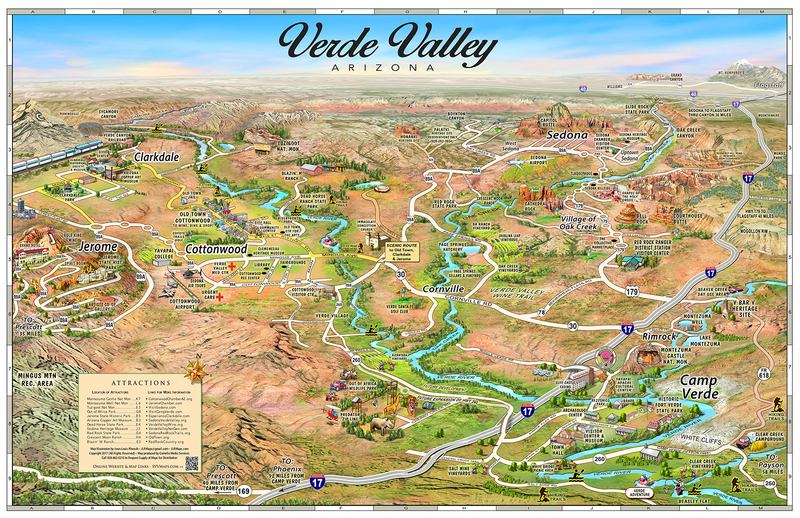 Most of the locals live in west Sedona and is the least scenic with the most traffic. Uptown, 89A (above the "Y"). This is the tourist area with many shops and day shopping. This is where the day buses drop off visitors to Sedona. Nice place to visit for several hours of shopping or a nice lunch. The Historic Arts District (179 below the (Y) to the Chapel), this is the area to stay in! Over 80 galleries and restaurants all within walking distance. Oak creek meanders alongside HWY 179. There are several nice b&bs in this area and Tlaquepaque and Los Abrigatos are right in the middle. El Portal is located in the heart of the Arts district.